After cheese and the Lombardi Trophy, Melvin Gordon might be Wisconsin's greatest import. 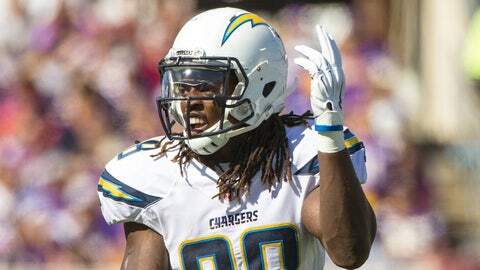 Melvin Gordon grew up three hours away from Lambeau Field. And he starred for four seasons at the University of Wisconsin, too. You could say the Chargers' rookie running back is excited to head home and play the Packers. A family reunion could calm Gordon's rookie nerves. He's broken four runs of at least 20 yards, but hasn't been the immediate difference-maker fans expected he'd be. But his head coach sounds like an honorary cheesehead when he talks about the rookie's potential.